1 How much Caffeine Is In Pre Workouts Anyway? 2 What Are The Effects of Caffeine? 3 There is an answer – Caffeine Free Pre Workout Supplements! Some people would say that caffeine and pre workouts go together like Clinton and Lewinsky, but I have to disagree. The best caffeine free pre workout supplements are also some of the best selling and highest performing supplements on the market. For many of them, what they lack in central nervous stimulation is more than made up for in terms of boosting muscular performance and both enhancing and speeding up muscle recovery. Not to mention the added benefit of still being able to have a coffee in the morning without having a heart attack. Oh and probably the most important factor of being able to take it in the afternoon or evening and still sleep that night! How much Caffeine Is In Pre Workouts Anyway? You may or may not have noticed that most (read pretty much ALL) pre workout supplements on the market contain caffeine in varying amounts, up to 350 mg per serve in some cases. Most of them contain 150 – 250 mg per serve. 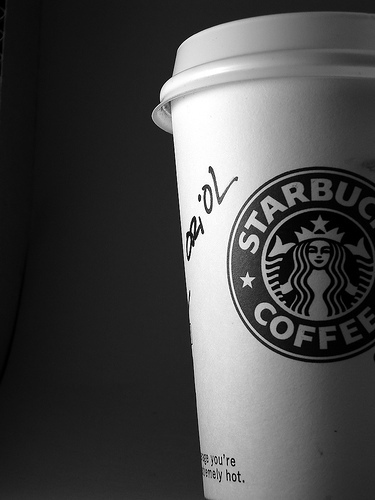 To put this in perspective, a Tall cappuccino from Starbucks contains 75 mg of caffeine. So for the strong pre workouts on the market, taking one serve before hitting the gym is like downing 4 tall cappuccinos from Starbucks. That’s right, FOUR! Add to this the the fact that there are usually other central nervous system stimulants included in most formulas and it should come as no surprise that you are bouncing off the walls after taking a pre workout. Caffeine actually has many effects that are beneficial to working out, such as increasing your energy and excitement levels, speeding up metabolism and increasing the amount of fats the body uses for fuel. Unfortunately though, it also has some effects that are not desirable to many people and these affect people to varying degrees, with some experiencing these other effects a lot more than others. The most commonly reported unwanted side effects of caffeine consumption are excessive nervous energy or feeling ‘jittery’, not being able to sleep, excessive urination, headaches and in some cases anxiety. The nervous energy or jittery feelings experienced as a result of excess caffeine consumption are a result of the way that caffeine stimulates the central nervous system. Each person has a different tolerance level to central nervous system stimulation and some people are highly sensitive to stimulants such as caffeine. When they ingest too much their central nervous system becomes over energized, hence the jittery feeling. The sleeplessness associated with caffeine consumption is also due to the central nervous system stimulation. Caffeine levels in the body decay exponentially and have a half life of about 6 hours. This means that 6 hours after ingesting caffeine, half of the amount originally ingested still remains. 6 hours after that, the level is halved again. So if you consumed 300 mg at 6am, by midday 150 mg would be left in your body and by 6pm 75 mg (a Tall Starbucks cappuccino) would remain. No wonder some people are kept awake when they take a pre workout in the afternoon! Another unwanted side effect of excess caffeine consumption experienced by many people is frequent urination. This is because caffeine quite a strong diuretic. A diuretic is a substance which removes water from the body, or increases the production of urine. This causes the body to become dehydrated and this is also the reason that many people experience headaches after consuming too much caffeine. So, if you are sensitive to caffeine and want to boost your performance during workouts what do you do? There is an answer – Caffeine Free Pre Workout Supplements! That’s right, many companies now make pre workout supplements without caffeine to help you power through your workout without having to deal with the unwanted side effects that caffeine has on many people. So whether you avoid excess caffeine because of the jitters, the sleeplessness, headaches, dehydration, upset stomach, anxiety or whatever the reason, there are an increasing number of pre workouts available. The best ones (in my humble opinion) are reviewed below. Please remember that I’m not qualified to give medical advice so please consult your doctor regarding any specific requirements you may have. 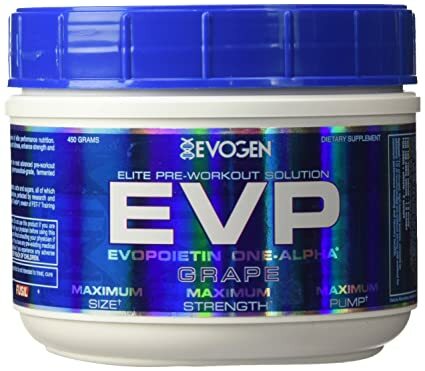 Evogen EVP is a good stim free pre workout supplement which is particularly suited to those looking for that little bit extra during their workout. It contains 4 proprietary complexes to help you push your workouts to the next level. The Evogen founder and supplement designer Hany Rambod has a good reputation to uphold and he does that with this formula. It has a great taste and should definitely be considered by anyone looking for a caffeine free pre workout supplement. The star of the Evogen EVP ingredient show is FUSIL which is a fancy acronym for Fermented, Ultra-Soluble L-Leucine. This is a proprietary ingredient that is far more easily utilized by the body and hence far more effective than the regular L-Leucine found in other pre workouts. It is only available in the Evogen products and is a highlight of their product range. This forms the basis of the “Pharmaceutical Anabolic Catalyst” complex. (one of the 4 mentioned above) The other components of this complex are pretty standard in workout supplements and work together to maximize your performance and recovery. 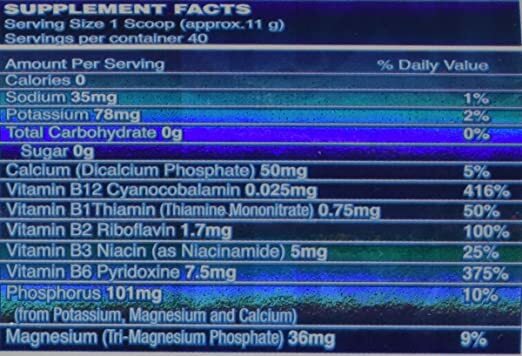 The “Nutrient Injection/Volumizing Complex” is the next bullet in the EVP gun and its effects are predominantly due to their special quad Arginine blend and Creatine gluconate compound. These two substrates work together to boost nitric oxide production and hence blood flow which gets more of what you need to where you need it. Meaning: more blood containing more nutrients and fuel delivered to your muscles which in turn leads to more power and less fatigue. The above complexes help to increase performance while training and this is where the “Anticatabolic/Recovery Complex” comes into play. Increased performance means increased recovery demands and this complex is geared up for just that. The dual blend of L-Glutamine and L-Glutamine AKG is said to work in synergy with Carnosyn (the more effective, patented form of Beta Alanine) to prevent catabolism and support growth and recovery of those tired muscles. So while it doesn’t have any central nervous system stimulants it does contain an “ATP/Cognitive Enhancing Complex” which does almost the same but entirely mentally, meaning no jittery feelings in your body. It is alleged to support alertness, focus and mind muscle connection. 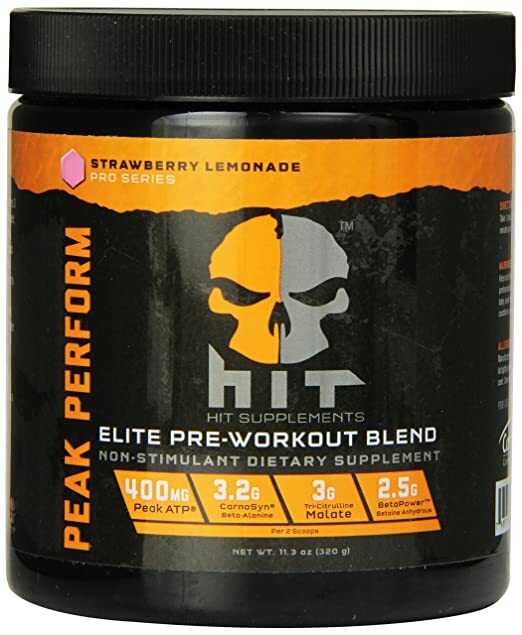 This is a high quality pre workout with a great formula targeted at muscle growth and repair. It contains large amounts of both essential and branched chain amino acids which play a huge role in the recovery of muscles that have been pushed to the edge. It will also help with training intensity and endurance but the main focus is definitely on growth and recovery. 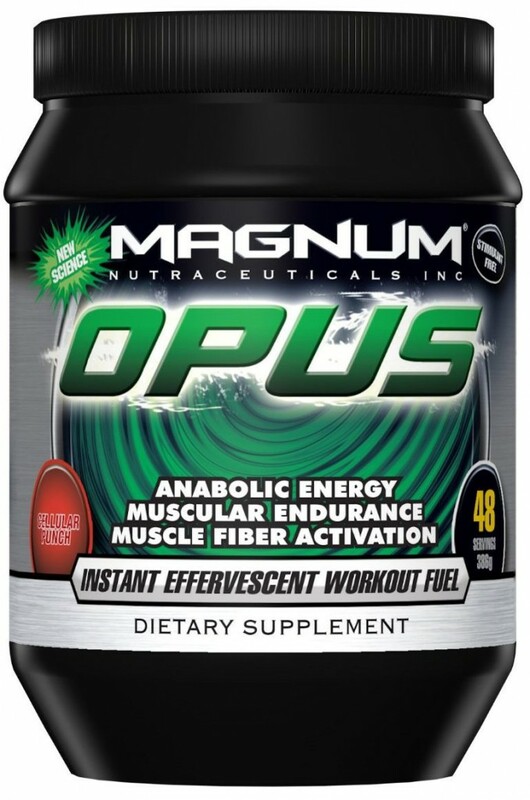 It is suitable for serious athletes and body builders and also for those that are looking to support their body as it becomes accustomed to heavy training. 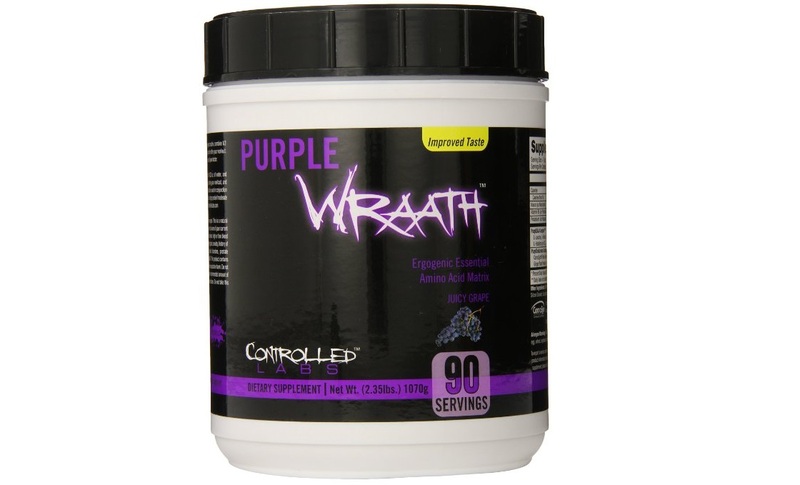 Purple Wraath only has 2 ‘complexes’ which is only half of the 4 in EVP but don’t be fooled into thinking its half the supplement. On the contrary, these two complexes are probably more effective than the 4 in EVP. 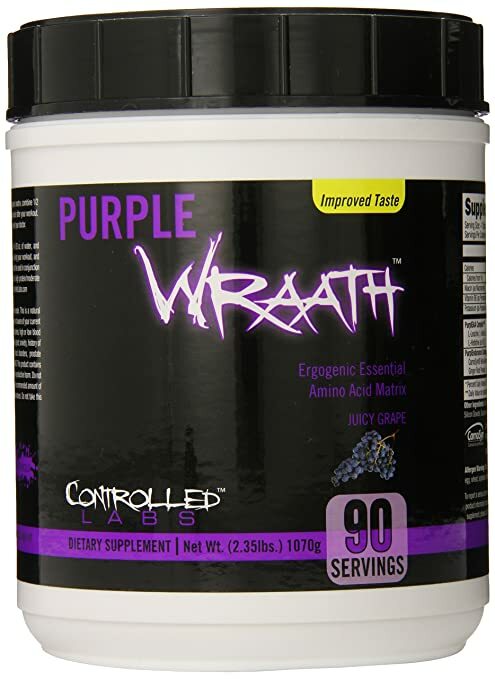 The “PurplEAA Complex” is the main part of this product and it is there mainly to aid in protein synthesis and to maximize muscle the recovery and growth of muscles that have been trained hard. 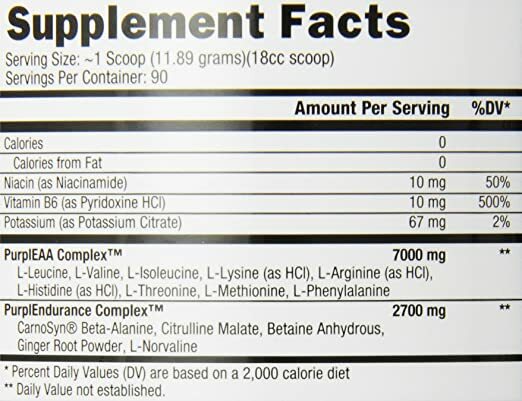 All of the L-blah blah…ine ingredients are either essential or branched chain amino acids. As the name implies, essential amino acids are essential and need to be externally supplied as the body is not able to produce these by itself. Both these essential and branched chain amino acids (BCAAs) are the foundations of muscle fibers and integral to the process of protein synthesis. There are 7 grams of these super important amino acids and taking this regularly will significantly improve recovery. In addition to this the “PurplEndurance Complex” contains the standard performance enhancing ingredients. The Beta Alanine, Citrulline Malate and Betaine aid with blood flow, muscle endurance and power and the ginger root powder and L-Norvaline help with focus and motivation. There is a warning on the label about the Beta Alanine causing tingling but I don’t think this is necessary. CarnoSyn Beta Alanine is only part of the 2700 mg complex and frankly it is not going to do all that much considering the recommended dose of Beta alanine is 3-5 grams. "Purple Wraath is a staple for many people. It can be used pre, intra and post workout to help you get the most from your body. See why for yourself! This is one of the best performing stimulant free pre workout drinks that money can buy. The primary purpose of the Peak Perform product is to enable the body to achieve higher levels of performance. At first I thought it was an odd name but it is actually a perfect description of what this pre workout does. It is a top quality supplement which will help you achieve more than you thought you were capable of and is suitable for anyone who has been training for a while and is ready to push their body to the next level. This formula does not feature any single miracle ingredients; just proven ones that have been put into forms that maximize the way they can be utilized by the body. For example rather than Beta Alanine it contains the patented form (Carnosyn) which has been shown to be significantly more effective than Beta Alanine at increasing muscle endurance and reducing fatigue. 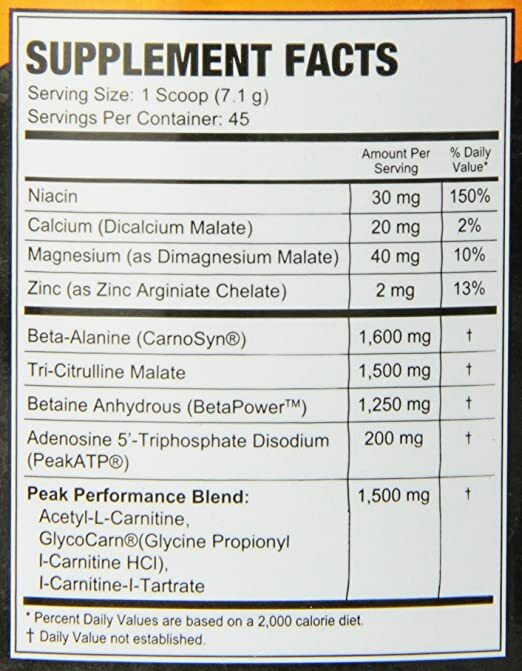 It also contains Tri-Citrulline Malate which is known to be more easily utilized by the body than Citruline Malate. The PeakATP complex is also included to increase the amount of ATP available in the muscles. ATP is used in muscle cells for energy hence the levels of it are an indicator of muscular performance. On top of this the different forms of Carnitine and GlycoCarn increase the efficiency of the body’s mechanisms for providing fuel to the muscles. This means that the body can provide more fuel to the muscles in the same amount of time. The effect of this is a marked increase in the amount of work it can do, which translates to lifting heavier weights, more times. Want more power in the gym? More endurance? Better recovery? Peak perform is said to help with these and many other aspects. Try it for yourself and see why! 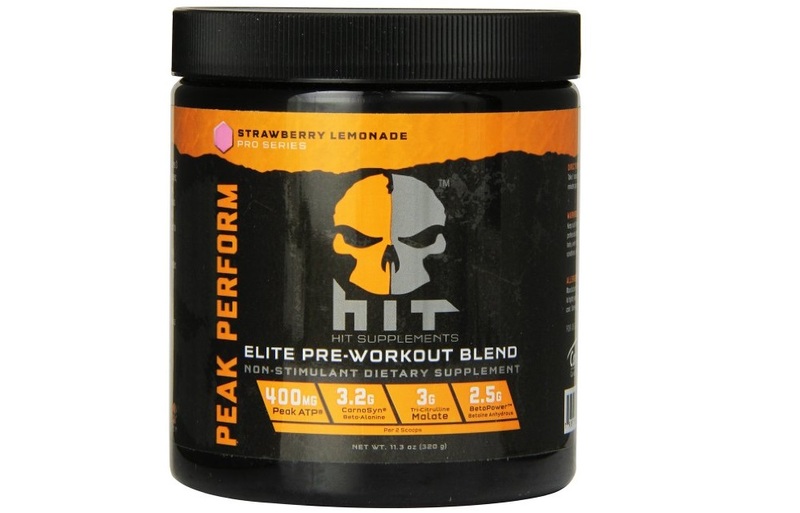 To summarize the review – this pre workout is as good if not better than any of the ‘stimmed’ products available. It has a solid mix of ingredients backed by science and is suitable for both the serious user (think elite athlete, fitness model, body builder etc) and amateur user alike. It is proven to boost energy, performance, focus, motivation, recovery, endurance and muscle growth suitable for use as a pre, intra and post workout supplement. You really cannot go wrong with this. Try it for yourself and post a comment with your experience. I’m not so much into working out with a vengence, I never have been very physical. I have always just been more active in walking, using stairs and such in a natural method of keeping fit, so I am not really familar wit hthe pre-work out boost. Never the less after reading your post, I was completely surprized that a health conciencious person would use a work out supplement that had 4 times the amount of a large starbucks to help the out. Not really healthy at all. I don’t think too much caffeine is good either but what constitutes too much caffeine varies from person to person and changes as your body becomes more used to it. Caffeine can actually have many positive effects on the body especially when it comes to working out however it can also have many undesirable side effects and each individual will have to assess their own tolerance to determine if it is right for them. i’ve just started going to the gym after work so this is great for me. i dont even drink coffee normally so having like 4 coffees after work would keep me up all night. do you think i should take other supplements as well or is it enough in just the pre workout? What other supplements you take depend on the pre workout you’re using and mostly on how hard you’re training and how seriously you take your nutrition. At a minimum I would recommend making sure you have enough amino acids and you may like to take some creatine as well because the recommended dosage for maximum effect is more than the amount included in a serve of pre workout. If you’re interested there is more detail here: Why Take a Creatine Supplement? You know, I’m not the typical work-out-guy as you may see. 🙂 Or not working out in the gym. But my brother is! He is training since Oktober 2014 very hard (at least 5 times a week). Until now he was trying to build his muscles only on normal, proteinrich food (et least 400 gram chicken breast daily, 8 eggs, quark, milk, carbo’s only to have energy, stricty counting). The problem is that he gains much slower than in the beginning, that is not strange of course. Yet discouraging! Anyways, he would like to try some supplements. Would you recommend these for him? He is very religious about stimulants and would love to use something that is not “stimulating” in the traditional reading yet gives a boost. What is your experience, does it work as good as products with caffeine, taurin, etc.? 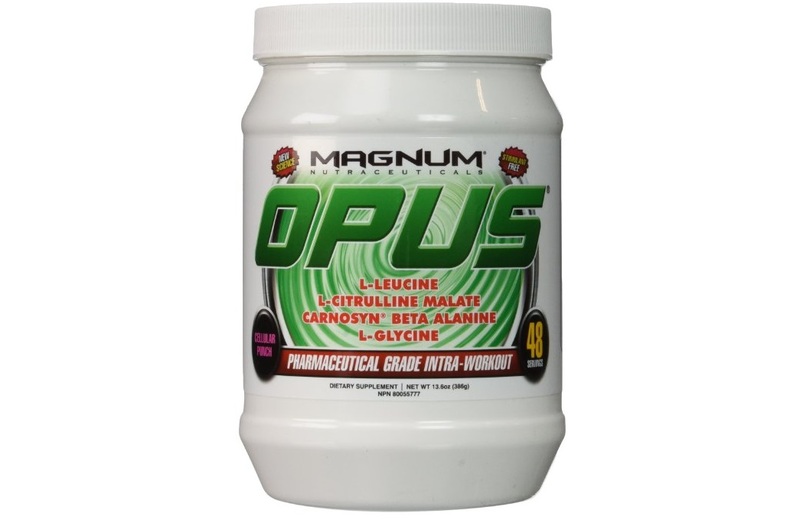 The Magnum Opus pre workout would be perfect for your brother – it’s exactly what he’s after. There are no central nervous system stimulants but there are things that will give muscular energy at a cellular level. In terms of lifting heavy weights this is actually better as the energy is needed in the muscles, not in the nervous system. Maybe you can join him next time! I have lifted weights for over 30 years and a Personal Trainer for 20, and it wasn’t until I decided to compete at the grand old age of 56 that I looked into pre-workout supplements. Four years ago, when I was training hard, the pre-workout supplements were quite heavy duty here in Australia, and yes gave me the jitters, high heart rate etc, which I hated and ended up stopping them. Two years ago our Government stopped the use of the supplements that contained some pretty heavy duty stuff, but as far as I am aware a small amount of caffeine was allowed. I haven’t tried the new caffeine free supplements yet, so it was good to read your reviews on them. Thanks Di, nice to have you visiting the site from down under! Hope you find a good caffeine free pre workout that you like! Which one of these gives you the best pump?? I’m looking to add a NON stim with my Stim pre-work out. Stim n NON stim is the way to go. I’m just having a hard time finding one that actually will produce a solid pump! Ive tried noxivol and that was okay but if one of these is better then id take it now! I am not your doctor but maybe your body is desensitized to citrulline which is a common nox booster. 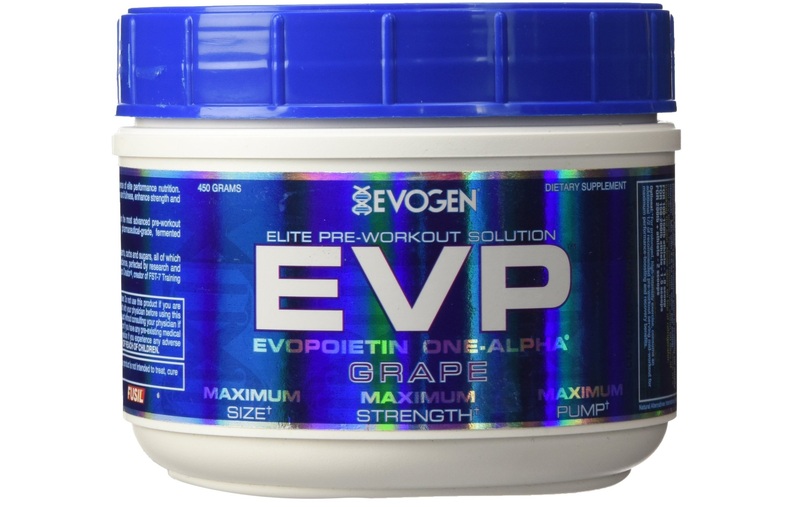 In this case you may want to try evogen evp as it uses arginine to give you a pump. As with stimulants, I think it is best to cycle different supplements for pump so as to avoid building a tolerance. Happy lifting! Hello here, I see that you are really knowledgeable about prework out supplements. For me it would be not easy to choose. Maybe the reason is that I am not a professional . I am just conscious to keep body in a good shape with yoga and walking. However, this information is great for people who want to stay energetic before and after work in the gym. I must tell my boyfriend about these supplements because he was looking for the right type. All the best spreading information about healthy supplements without caffeine.